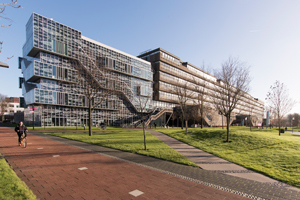 Petroleum Experts Ltd (Petex) has kindly donated 10 licenses of the MOVE Suite software to the Delft University of Technology. The software will be used by students and researchers in Applied Earth Sciences at the Department of Geoscience and Engineering. The GSE department appointed Dr. Annemarie Muntendam-Bos part-time associate professor in the area of induced seismicity as per 1 January 2019.